I have had enough with the battery shutting off, I drove less than 2 miles and it shut off. I got my multimeter and checked the voltage through the balancing connector one by one side by side connections showed me the voltages. They all ranged between 3.2v and 3.5v, About 2/3 of them were 3.4 or 3.5 volts and then 1/3 of them were 3.2 and 3.3v. From what I understand, the whole system shuts off when ANY of them hit 3v. When plugged into the supplied charger I got with my xb700li, it ran for a few seconds and then shut off. According to the label it is a FULLRIVER 19ah lipo4 battery 16S. How can I balance this battery? ninelime - LiFePO4 (if that is what you have and if they are 19Ah cells, they almost certainly are) usually have a nominal voltage of 3.2V and a 'normal' operating voltage range of between about 2.6V to 3.8V. Various makes of LiFePO4 cells vary a bit in this. There is no way the charger should stop when any one of them reaches only 3V. This would normally happen at 3.6 to 3.8V depending on how 'kind' you want to be to them. The lower the cut-off voltage the longer the cells will last (life-time wise). As to balancing, normally LiFePO4 will stay reasonably well in balance - AS LONG AS THEY DO NOT HAVE ANY ONE CELL BEING DRAINED MORE THAN ANY OTHER. Ie if they are a straight '16S' arrangement, all 16 cells (you have 16 cells, right?) for a nominal system voltage of 16 x 3.2V = 51V (probably 48V motor/controller), will be connected +ve to -ve from the first to the last leaving one +ve terminal at one end of the string and one -ve terminal at the other to connect to the the controller. Assuming all else is equal, the cells should not require balancing more than once a year or so. If you have any other wires attached to the cells, they are probably monitoring either the cell's voltage or temperature. In the former case this may, depending on how the monitoring circuit works, be imbalancing the pack due to different, albeit very small, drains on the cells due to the monitoring circuit. Very small drains over a period of months causes potentially serious imbalance issues. However, due to manufacturing differences some cells will inherently drift away from the others depending on the quality of the cell. Good makes do not vary much if at all, other less high quality ones do so a lot. The other main influence on cell voltage drift is temperature. Cells whose temperature are at odds with others, say the ones at the front of the pack that get more cooling than those at the back for example, will drift more. So to balance them you need to decide whether to 'top balance' or 'bottom balance'. I won't bother explaining the difference here - just google 'EVTV bottom balance'. If you have a working, effective battery monitoring system then I would favour top balancing as you generally get better range. If not then bottom balancing will generally be much safer - lees likelihood over overcharging - and ruining - the pack. So you need to start with a relatively discharged pack, say about 40% DOD. First make sure all the cells are reading around the 3.2V mark. All your voltages as quoted in your original post are OK. You then need to get a charger which will put out about 5 to 10 amps at 4V the higher the A the quicker the process will be but I wouldn't go any higher than 10A. All you do next is connect the charger + to +, - to - to each cell in turn and charge it until you reach a set voltage. For me, I set that at 3.8V. If your charger has the facility, you can set it to cut off the charging automatically but if not - and this is where it gets VERY tedious, you MUST watch the charger constantly or you risk destroying your cell (and possibly the bike and the building it is in due to the whole thing catching fire!). This is because the charging is not linear ie the volts to not climb in a straight line with time. 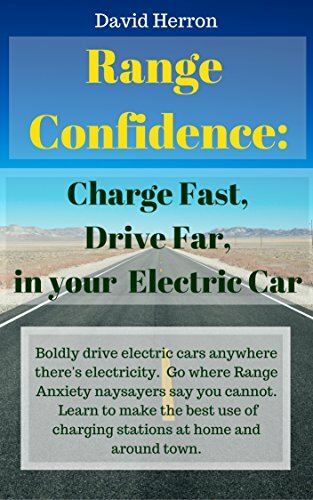 Initially they do but it is right at the end of the charge where the cell voltage under charge suddenly starts to climb very quickly and if you don't catch it and switch off the charging, you risk catastrophe. There are chargers you can buy that will do this for you - check out ebay for RC (radio control - (model)) chargers. They should not be wildly expensive esp second hand. At 5A, each cell may take 2-3 hours to charge to 3.6V so you can see it is an entire (odiously boring) weekend lost if you have to do it manually for 16 cells. There are other chargers that can do several cells at a time to speed things up but they will cost US$100+ new. I read thru your desciption of cell balancing and chargers. My problem is covered in the last part of your post. I have xtreme xb 700li. Replaced battery and charger last spring. Not sure of battery but charger is listed as LIPO4 48v. Charger got damp and shorted. Need to replace but xtreme says 4 weeks. Trying to find replacement but am afraid of getting wrong charger. Really dont need a fire! Already checked for fuse in old charger. None that I can see.Are the chargers Ive seen listed on some sites, LIfePO4, the same? Thank for your time.